same issue with Pirellis... back end broke away in 3rd... 4 wheel understeer as well on my old Saab Turbo X when using Kumhos. On my daily driver insignia grand sport its oem Continental 6 it grips like its on ice unless bone dry..... maybe i overdrive the tyres a bit but i like to have confidence in whats the only item between me and the road. PS4 - unless you do lots of trackdays, the PS4S aren’t as good a choice. Yes, they are more grippy, but you’d be driving way beyond what would be safe on public roads before they come into their right. The PS4 are very progressive and grips great for some spirited driving and when it starts raining, you won’t be going sideways. The PS4S are better in the rain than the PSS and Pzero - but that isn’t saying alot! Just ordered PS4S to replace worn out Pirellis. Those lasted in my case 25.000 miles. Although Pirelli here gives a 2 year warranty and up to 2 new tyres free of charge in case of a rupture. 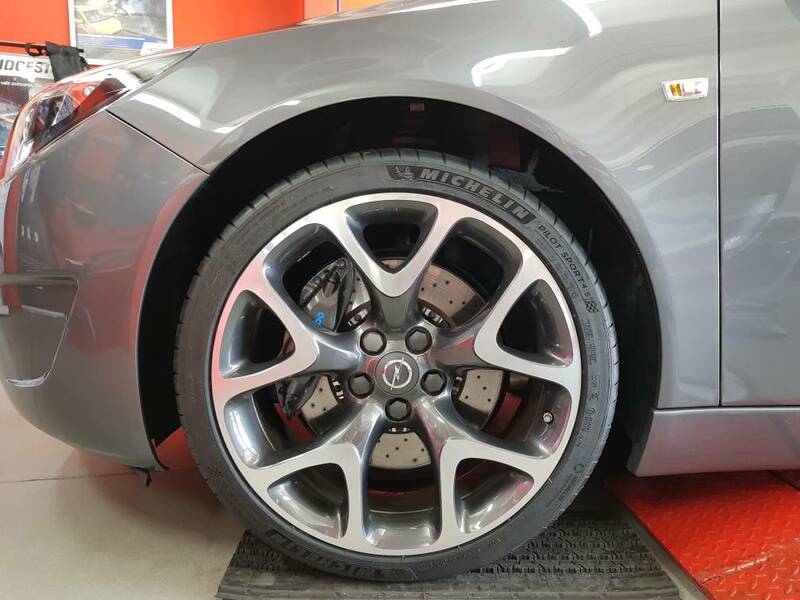 On my Insignias I've tried Potenza, Asymmetric 3 and Pirelli. Never Michelins. Michelin configuration for my car only gave PS4S as an option. Pretty much the response I see when anyone goes over to the PS4s - bit of luck they should last longer for you as well! These tyres are from another universe compared with anything else I have tried, PZero, F1 Assimetric 2, Potenza 005 and Pilot Super sport. But all other tyres I tried were a generation behind. The progress is really noticable. Here prices are 200 Euro/piece +/- 10 Euro. All of the premium Michelin, GY, Pirelli, Bridgestone and Conti are in the same price range. Chinese brands at +/- 100 Euro/piece. When I bought Assymetric 2 in 2012 the price was 320 Euro/piece. Comparing the two, I can say that noise level and road comfort are similar. Both being low in rolling noise and high in comfort. Pirelli was louder. But Michelin comparing to others has better sidewalls. High speed corners on the highway are held incredible. Roll is much more reduced. Bridgestone has strong sidewalls but is uncomfortable, noisy and lasted only 20.000 miles in my case, comparing with over 30.000 with Pirellis and a little bit less with GY. So in my experience Michelin is the top, GY most comfortable, Pirelli a nice balance, Bridgestone not recommended. Keeping in mind that those tyres were not from the same generation but all installed on my Insignias and used for 2-3 seasons a set.